mainly the Netherlands, Belgium, and Suriname, also in Aruba, Curaçao, and Sint Maarten, as well as Australia, Canada, France (French Flanders), Germany, Indonesia, South Africa, United States. Dutch-speaking world. 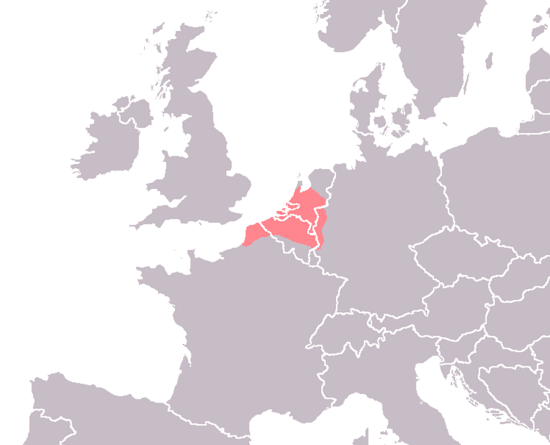 Dutch is also one of the official languages of the European Union and the Union of South American Nations. Map of the pre-Roman Iron Age in Northern Europe culture(s) associated with the Proto-Germanic language, ca 500–50 BCE. The area south of Scandinavia is the Jastorf culture. Title page of the Statenvertaling (1637) reads: Biblia [...] Uyt de Oorspronckelijcke talen in onse Neder-landtsche tale getrouwelijck over-geset. (English: From the Original languages into our Dutch language faithfully translated. 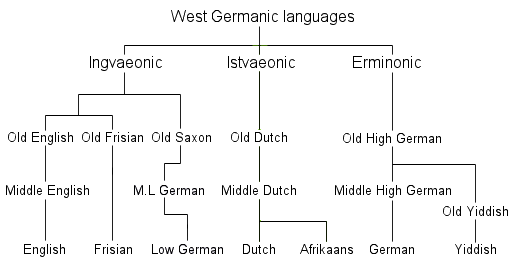 The simplified relation between the West Germanic languages. Dutch uses the digraph IJ as a single letter. 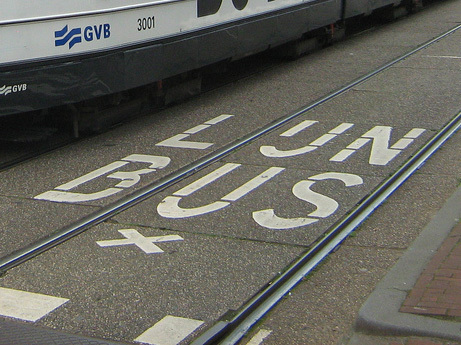 Shown is a bus road marking. Dutch language Facts for Kids. Kiddle Encyclopedia.